We specialise in office and commercial fit out, maintenance and service work. Our field is electrical,data cabling,phone cabling ,lighting and fibre optic cabling Every thing to make your office work. We have a strong customer base and are reliable,friendly,trustworthy and neat and tidy. 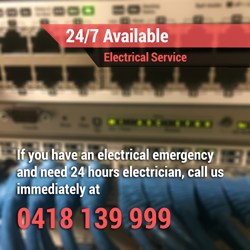 Sequence Communications and Electrical have the technology and the competence to carry out all our service offerings. "If you are seeking professional, quality communications and electrical service specialists, reach out to the experts at Sequence Communications and Electrical. You can write to us at peter@sequence.net.au or call us on 0418 139 999 or (02) 9913 9999. "